The ANU Design Unit was first established in 1954 to design and manufacture furniture for a steadily growing Australian National University. From 1962 ahead of a rapid expansion of the campus, the Design Unit, under the helm of Derek Wrigley as University Designer and Architect, embraced a concept of ‘total integrated design’. This vision proposed a cohesive approach to architecture, urban planning, furniture, interiors, landscaping and graphic design across the campus’ learning and research environment. Featuring rare objects, as well as those that remain in daily use, this exhibition celebrates the work and legacy of a unique group of University designers and artisans, and fledgling Canberra manufacturers. Derek Wrigley and members of the ANU Design Unit also spread their design ethos across the city with commissions for a range of Commonwealth agencies (including the National Capital Development Commission), community organisations and private individuals. 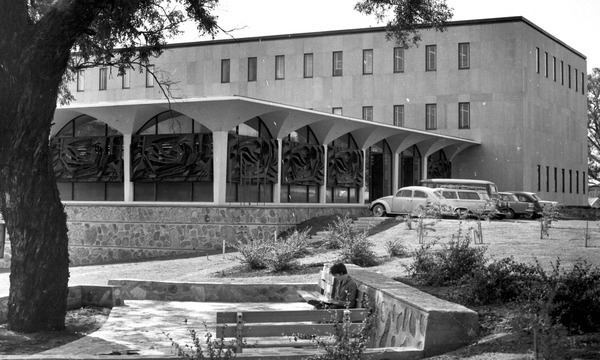 Total Design: Derek Wrigley and the ANU Design Unit 1954-1977 has been developed by the ANU Heritage Unit and is presented by Canberra Museum and Gallery. The exhibition accompanies the launch of the publication Derek Wrigley: The ANU Design Unit 1954- 1977 Design Awareness in the Modern University, ANU Press 2019. Some of the members of the ANU Design Unit team outside their office in the Old Hospital Buildings, Balmain Cres 1968. 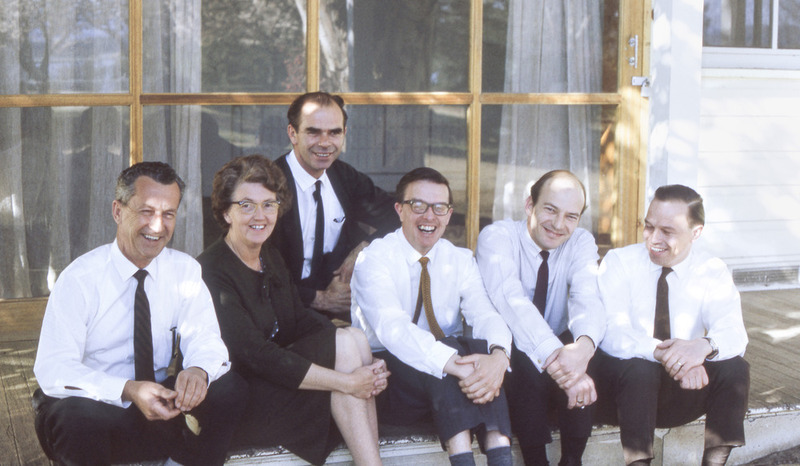 From left to right, Scorgie Anderson (administrator), Marie Penhaligon (secretary), Jack Low (design draftsman), Derek Wrigley (University Architect/Designer), Gerald Easden (interior designer), Hans Pillig (furniture designer).